We All Want Lashes Like Liz Taylor’s – And Now We Can! Elizabeth Taylor, more commonly known as Liz Taylor, was a legendary person for many things. She was one of the last stars of the classical Hollywood cinema, her fondness for jewelry was widely known, she starred in many famous movies, and due to her multiple marriages, her personal life became the center of everyone’s attention. She was said to be famous for just being famous, however, she was respected by many for the steps she took and efforts she made to help people with HIV/AIDS survive and the stand she took for the LGBT society. But it all started with her beauty, or more specifically the beauty of her eyes. It was the rare blue color of her eyes which was so dark that it almost looked violet and that color was magnified because of the dark double lashes that framed her eyes. Elizabeth Taylor’s eyelashes were one of the most prominent features of her face and would believe the unique feature is what made her so beautiful. Even though Elizabeth’s case of double lashes was due to a genetic mutation, it became a blessing for her. Even as a child, her beauty spoke volumes and is what actually convinced her mother to let her be an actress. To this day Liz Taylor is believed to be one of the most beautiful women in history. In Taylor’s time, there were neither any lenses nor the concept of false lashes widely known. So women found it impossible to replicate the look of their favorite and most iconic star. But gone are the days when Liz Taylor’s look was difficult to copy. All the fans of Elizabeth’s iridescent beauty need not fret anymore, for Ardell eyelashes have now made it possible to get the exact look of the legendary star. What do double lashes really entail though? They are the double rows of lashes that adorn the eyes, a second layer of lashes more specifically. It is a genetic mutation called Distichiasis. In most cases this mutation causes various problems for eyes however Elizabeth Taylor was lucky enough to not face any of those problems and only left with the good parts of the mutation. That is a double layer of thick black lashes. There are two styles available by Ardell lashes that make it very easy to get eyes just like the star’s. There is not one but 10 different styles available by Ardell double ups. So if your eyes are too small, too big, almond shaped, doe eyes or whatever kind they are, and you are thinking getting Liz Taylor’s eyes might not be possible for you, well then, you are wrong because Ardell has one for every kind of eyes and everyone will be able to find their perfect fit. 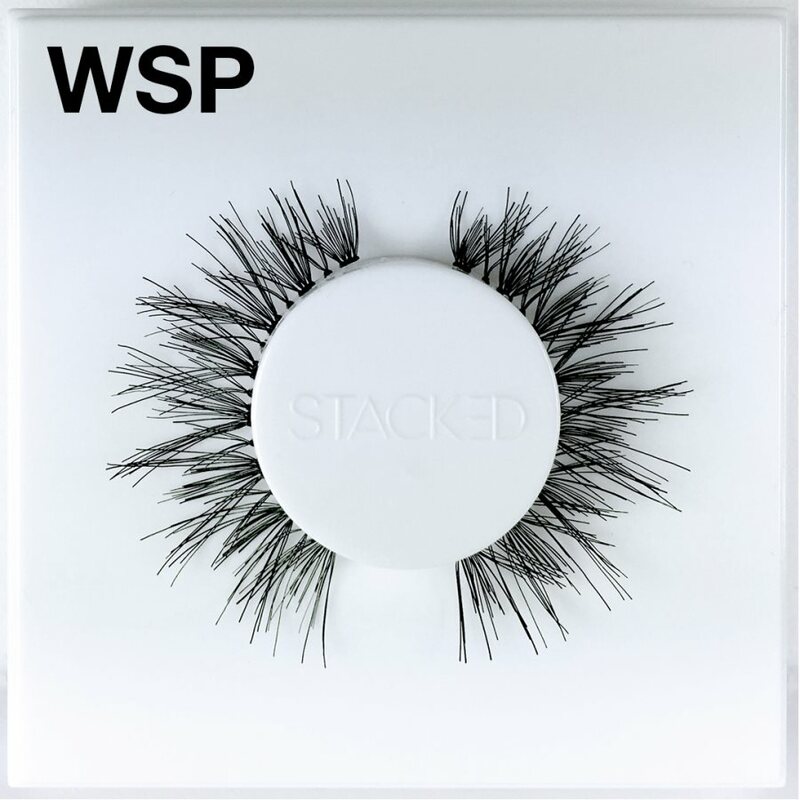 Ranging from Double Up 201-208 along with Top and Bottom lash and double up wispies girls now will be able to get eyes just like Liz with none the wiser. Do not let your inner fan girl wait any longer. Get the lashes and get the look now. Dark and voluptuous lashes are at your fingertips with Ardell Double up 201. These are easy to apply, comfortable to wear, easily affordable, and totally capable of giving a fuller, thicker look. In Ardell Double 202 lashes, the thickness of lashes is double, giving us lashes exactly like Liz’s and making us feel almost as beautiful as the starlet herself. Double up 202 will give you a look so glamorous that wearing these might feel the most perfect thing ever. A combination of two exclusive styles by Ardell, this one comes up with a complete Liz Taylors look, for she did not have double lashes on her upper lids only but her lower lids were also adorned by and extra row of lashes. With Ardell double up top and bottom, the exact same look can be easily achieved. Ardell has prepared the look for you, all you have to do is put it on. It gives a full thick glamorous effect, suitable for every eye shape and easily achievable. Hairs so fine that it would be hard to tell where the real lashes end and the fake ones begin. 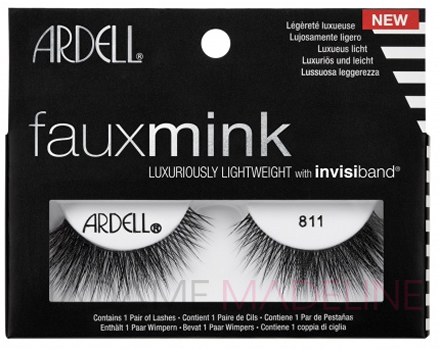 To mimic the criss-cross style of Liz Taylor’s lashes, Ardell came up with an exact replica of Elizabeth’s trademark lashes. These double up wispies falsies double up the fun, with twice the amount of hair, the dramatic effect is double and so is the glamour. With double up wispies people will soon be mistaking you with a Hollywood starlet. These lashes are available in three sizes from short, medium and long ones. Individual lashes are different from regular pair of false lashes as they are available in individual clusters instead of full strip. They are a little difficult to apply as compared to a pair of regular falsies. But with practice and a delicate hand, these lashes will get easier to apply. Also, individual lashes are believed to give a more natural look as the merge with the original lashes and make it look like a part of it. There are a number of colors and styles to choose from but in order to get the eyes of the beauty legend, these double individual lashes are the ones to use. The length you pick depends upon the size and type of your eyes. For big eyes go for the Ardell Duralash Double Individual Lashes longer. With 60 individual lash clusters in the box, get the style of your own liking. These Duralash will give you eyes as intense as Liz Taylor’s. Armed with Ardell lashes and best beauty tips and tricks, nothing can stop you from getting eyes like the legend. For it was Elizabeth Taylor’s eyes that were able to charm thousands of fan and had her declared the most beautiful woman of her time.